We are extremely excited to welcome back our past students as well as seeing and meeting new faces every year. We love and care for each student individually through using the best of our abilities to show them the importance of staying healthy and active in mind, body, and spirit. Most importantly we provide a loving Christian atmosphere that enhances their desire to know Christ more. We, as educators ourselves, benefit immensely through the loving presence of our students. At Michaels Homeschool Academy, it is our mission to prepare and empower our students, with an exceptional education in a Christ-like environment, to be able lead and serve their home, church, school, society, and culture while representing and seeking Christ in all areas. 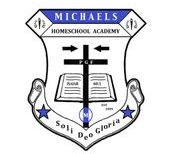 Michaels Homeschool Academy (MHA) was established in the fall 2009 beginning with our PE (K5 through 8th grade) program. During the fall 2013, MHA celebrated its 5th consecutive year with the addition of our well needed high school program. In the fall 2014, God blessed us with the addition of our Spanish program. In the fall 2015, we once again expanded and added Mathematics to our association and in the fall 2016, our sciences and music programs became a reality. In 2017, we continued our expansion with the addition of our Art program. We give God the honor and the glory for this exponential growth. Since 2009, we have watched some of its starting students grow into bright young people for Christ and continue to make good healthy decisions. 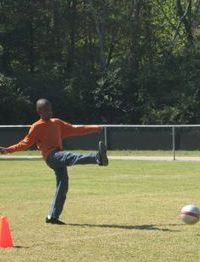 Through MHA, students have learned the importance of teamwork through classroom activities, projects, team effort relays, tried their hand at sports like soccer, basketball, baseball, and tennis, etc., explored the Tennessee River in a canoe, navigated through nature on a nature trail, unleashed their individuality through performing in front of an audience through our fun annual talent show, they have also taken "a walk through outer space" as they combined their creative minds with all of the exciting adventures to be had at WonderWorks........there is no end to the amazing experiences our students have had, and there is yet to explore. Mrs. Livia Michaels is the PE instructor/administrator of MHA and a home school parent since 2001. She earned her Associates degree in Physical Therapy in 1993. As a Christian therapist, she understands the importance of keeping a healthy body, mind, and spirit. 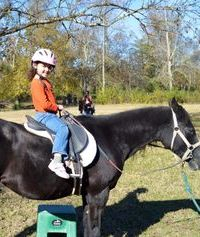 Her love for exercise has lead her to become more involved with the home school community. Her strong, christian character is shown through her loving spirit towards her students. She is always excited to be leading her students into another fun-filled year. Mrs. Michaels first taught home school physical education classes in 2002. 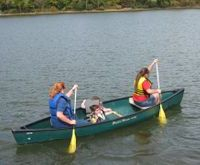 At that time, she taught over 30 students and enjoyed it very much but upon completion of that year she had to give up teaching the next year's classes upon learning that she was expecting her third child. 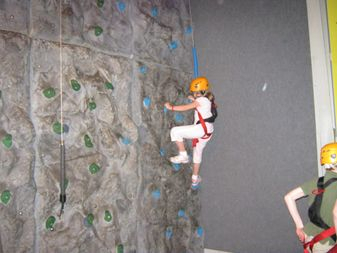 After several more years and following the arrival of her fourth child, the Lord once again placed this ministry in her heart to teach home school physical education classes with a brand new twist by adding field trips with a physical and educational aspect in mind. As a mother of four and a great role model to all her children, Mrs. Livia Michaels certainly knows the meaning of "sacrifice" and definitely pours her all into this program while giving praise and glory to God! 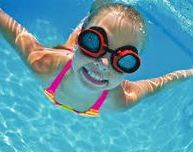 Michaels Homeschool Academy teaches kids about the importance of keeping the body and mind active and healthy, and to glorify God in all that we do. We have chosen to make our motto "Put God First" (PGF) to show others that even though a healthy body is important, God deserves our devotion and love and living our lives completely for Him is what is most important. Every child, from K5 through 12th grade, is welcome to come and join this program. 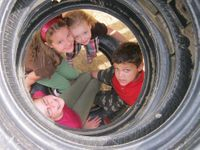 We openly welcome any child and do not believe in the discrimination of race, age, gender or ability in any way. We recognize that each child is different and they are each free to express their individuality in this program while at the same time respecting and honoring God.